DT Study Club Webinar: ADA Annual Session / DTSC Symposia – The Legends of the Canal: What’s Real in the World of Lasers and Endo? Live Webinar: ADA Annual Session / DTSC Symposia – The Legends of the Canal: What’s Real in the World of Lasers and Endo? ADA Annual Session / DTSC Symposia – The Legends of the Canal: What’s Real in the World of Lasers and Endo? “ADA Annual Session / DTSC Symposia – The Legends of the Canal: What’s Real in the World of Lasers and Endo?” is co-sponsored by Tribune Group GmbH. Tribune Group GmbH is a recognized ADA CERP and AGD PACE provider. 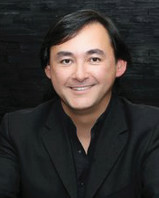 Dr. Walinski is an author, instructor and innovator in laser dentistry. He has published numerous peer-reviewed laser and oral-systemic/total patient health articles in journals throughout North America, Australia, Europe and Asia, as well as authoring a text on laser dentistry that has been translated into 10 languages. He is a Diplomate and Past-President of the World Congress of Minimally Invasive Dentistry, and was the first American representative on the Editorial Board for the International Society for Oral Laser Applications in Vienna, Austria. He was a founding member of the World Clinical Laser & Imaging Institute, and has achieved Mastership Status from the WCLI as well as Laser Certifications through the Academy of Laser Dentistry. Dr. Walinski currently serves as the Executive Director for the World Clinical Laser and Imaging Institute.